On a daily basis! It’s not subtle or implied. [Imitates her daughter] “Mommy, my favorite princess is still Ariel.” OK, honey; glad to hear it. I foolishly thought in my 20s as I exited those stage doors as Belle, with hordes of little girls waiting to meet me, allowing myself to believe that some day I would have little girls and they would think that I was pretty cool. Nothing is a bigger or better ego check than becoming a parent. You co-wrote “Nina Doesn’t Care.” Was there a specific moment the inspiration came from? I was up for the mom character in a role in a prominent TV show. After a long time of auditioning, it was down to me and one other actress. It had gone so well up till the very last day when I was testing in front of all the studio executives. I knew after I finished my scene and walked out that I did not get this job. My husband texted me, “How’d it go?” I texted back, “Ugh, I didn’t get it.” He texted back, “That’s OK. You still get to be Nina’s mom.” Nowadays, I take myself with just a grain of salt. I’m no longer the star of my own production. I’m merely a bit player in the wings. What was behind your decision to leave New York once you had finished your stint replacing Sutton Foster in Thoroughly Modern Millie? At the end of Millie, I weighed my options. I could continue doing eight shows a week. Maybe I could replace in more shows, maybe originate a role. I’m was pretty confident that I could work. But I really had my heart set on another dream; I really wanted to be a mom. I loved this man (husband Robert Hartmann). So I tried that and started doing lots of concerts. I did three years of just concerts—probably 300 or 400 of them. I found that I preferred them. I got into this industry to play characters; I never found myself very interesting. I wanted to be somebody else. But what I found in the concert world was that I loved that fourth wall being broken. I loved talking to the audience. I loved changing the material based on how I felt that day. What’s it like going through life as a Disney Princess? It is the gift that keeps on giving. A lot of people complain about Disney, but I don’t have a single complaint. Did I make a lot of money doing Beauty and the Beast? No! But it ran forever! So when I left the show, it was my choice to stop making the salary. I loved working for Disney. It never really ends. How many girls have played Belle at this point? Forty thousand? But I got to be the first. That is thrilling. And I got to do Meg in Hercules. Those things will last long beyond me. It’s spectacular to be part of that legacy. What was it like making your Broadway debut in Beauty and the Beast in such a high-profile role when you were so young? Ignorance was probably a wonderful thing and served me well. When I auditioned for Beauty and the Beast, like Belle, I was the new girl in town. I made it to the final callbacks of Carousel and it was the same week as the final callbacks for Beauty and the Beast. I went to the Beauty and the Beast one first and I got the job. My dream was to originate a role. I just got lucky; had Disney done Aladdin, I never would have been up for it. I hadn’t seen the movie of Beauty and the Beast. I played it funny in the auditions. I don’t know that they thought it was right for Belle to be funny, but they saw that I had other interpretations. 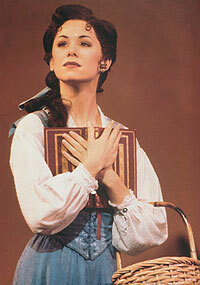 Every girl had studied (Belle in the film) Paige O’Hara and were carbon copies. How did you manage to escape the movie? I was on tour. I didn’t go to it. At the first audition, they gave me sides. It was the scene with Papa: “Papa, do you think I’m odd?” I thought it was supposed to be funny. I had made them laugh, and then I kept getting callbacks. The night before the final callback, there was a work session with Robert Roth, the director of the Broadway production. I panicked and I asked him if I should rent the movie. He said, “No, no! Don’t change anything!” During the final callback, Rob came up to me and asked me, “Could you do the scene one more time? And can I just ask you to do it like…” And I said, “Like a straight ingénue?” And he said “Yeah.” So I played it very sweet and straight, and they gave me the role. Not because that’s how they wanted it done; they just wanted to see that I could do it. Beauty and the Beast opened to a pretty harsh critical reception. What was that like for you? We were hated, hated in New York City. I’m just a girl who needed a job, but everyone seemed to be taking it out on me. It was the fact that Disney was producing something. All these Broadway producers had wooed Disney’s money for years, and Disney said all along that if they did a Broadway show, they were going to do it themselves. It was very much a boys club of the same five families that produced Broadway shows for a hundred years and Disney shook that up. We were the laughing stock, but “Be Our Guest” was the commercial for the Tony Awards that year. I get it. I’m a Sondheim snob too. I loved Passion (the musical which beat out Beauty for Best Musical that year). There was room for both of us. We’re going to get the kids that will ultimately buy tickets for Passion years from now, so I think we all belonged there. I’m glad I was a part of that experience because it didn’t allow me to become a theater snob and it grounded me. What long-term effects do you think Beauty and the Beast had on Broadway? We were nominated for nine Tony Awards and Ann Hould-Ward won one for Best Costume Design. It was never going to be a critical success, but it started the ball rolling for every other movie house in Hollywood to come produce, and that’s been great for Broadway. Mother Gothel in Tangled! My daughter’s second-favorite movie, next to The Little Mermaid! Donna Murphy was also up for Meg in Hercules. How did you personally deal with the flack that Beauty and the Beast was receiving? That experience in Beauty and the Beast was great, because 10 years later, I was taking over for Sutton Foster in Millie and on all the message boards, people were talking about me as if I had taken a bat to her knees like Tonya Harding. She chose to leave the show! I’m just a girl who needed a job. Why are you mad at me? Get mad at (director) Michael Mayer if you must. Dude, she was tired! Georgia Stitt produced your new album and you two created a blog together called Glamour and Goop, which chronicles your overlapping lives as mothers and performers. How did you two meet? I was still in New York and I was looking for new material for my new album at the time. I went over to her house. She played me a bunch of songs on the piano. I ended up singing one of her songs on the album, and that was it. But then I’m living in LA a few years later and I get a phone call out of the blue. Mind you, we’re acquaintances at this point. She says, “Hi, it’s Georgia Stitt. I hear you have a swimming pool. Um, I’m eight months pregnant and it’s August. Can I come over to your house and just float?” And I’m like, “Yeah, knock yourself out; come over!” We spent the day reading magazines, drinking iced tea, and we just hit it off. I think we both missed New York so much and we felt like home to each other. How did the idea of Glamour and Goop come about? We both got pregnant at the same time with our second set of kids, so they’re the same age. Georgia was my accompanist on a Disney cruise I was performing on. We took all four of our kids with us. On our show night, we had a half hour before we had to be on stage and we had four girls under the age of 5 throwing water at us. She turned to me and said, “So how does it feel to be a Broadway star?” Minutes later, we were performing our show and we did it twice that night. That started Glamour and Goop. Sometimes the goop is the work, whether it’s not getting the job or getting a bad review. The glamour is getting to come home and your daughter thinks you’re a superstar. Sometimes the goop is your daughter barfing on your gown. I’m still the Broadway girl; I’m still the Disney girl. But for some reason, Georgia and I know how to articulate these thoughts while tied to being moms, and it’s fun. Can we expect to see you back on Broadway? Like my pal Alice [Ripley], I’d like to leave for 10 or 15 years, come back, and get to play my age. I left Broadway at 35 and I was playing a 21 year old. It was silly; let’s be honest. It’d be nice to come back at 50 and play 50. Did you have any idea Susan Egan’s Beauty and the Beast experience was so rough? Isn’t it adorable that her daughters aren’t impressed with her Disney Princess status? 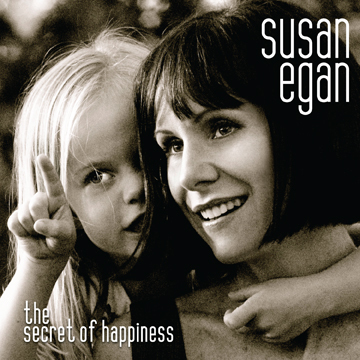 What role would you like to see Egan play when she returns to Broadway? Leave your thoughts in the comments below! can you name of the TV role and show she lost out in? Self-bestowed laurels? Huh? Didn’t you mean to say self-bestowed “bowels?” As for any action, eloquent or otherwise… unscrew Jim Beam cap, pour, guzzle, write something, anything, pass out. Wake up. Do again. Maybe add shower that day. Cash check if can crawl to mailbox that day. Scratch some. RSVP to literary-like award fest and replenish self-bestowing bowels function. Too drunk to attend. Ah, but what the heck, can call a cab…Reeking sod. Ick. clipper super! I bought he was going to say either:”So,I want a divorce”,or “But you’re no good in bed” Reminds me of a water cooler joke I saw in my lumber store a few years ago: Lost Dog:brown with a white spot around his eye.Has 3 legs.Sadly missed by our 6 pre-teen children.Answers to the nameof Lucky! Wat een mooie lap. Op de lagere school maakten bij ook zoiets maar wel veel eenvoudiger steken, maar het algemene beeld is hetzelfde. Comment’s author: geneng07/19/06 07:40:00 PMHey dude, I'm sorry that I can barely understand what you're trying to say (&gt;.&lt;) <br />Next time, please write in English, thanks……. /*Ã Â®ÂµÃ Â®ÂŸÃ Â®Â•Ã Â¯ÂÃ Â®Â•Ã Â®Â¿Ã Â®Â©Ã Â¯Â Ã Â®ÂªÃ Â®Â£Ã Â¯ÂÃ Â®ÂªÃ Â®Â¾Ã Â®ÂŸÃ Â¯Â Ã Â®ÂŽÃ Â®Â© Ã Â®Â®Ã Â¯Â†Ã Â®ÂšÃ Â¯ÂÃ Â®ÂšÃ Â®ÂªÃ Â¯Â Ã Â®ÂªÃ Â®ÂŸÃ Â¯ÂÃ Â®ÂµÃ Â®Â¤Ã Â®Â¿Ã Â®Â²Ã Â¯Â Ã Â®Â®Ã Â¯ÂÃ Â®Â•Ã Â¯ÂÃ Â®Â•Ã Â®Â¿Ã Â®Â¯Ã Â®Â®Ã Â®Â¾Ã Â®Â© Ã Â®ÂªÃ Â®Â•Ã Â¯ÂÃ Â®Â¤Ã Â®Â¿ Ã Â®Â®Ã Â¯ÂÃ Â®Â•Ã Â®Â²Ã Â®Â¾Ã Â®Â¯Ã Â®Â°Ã Â¯Â Ã Â®ÂµÃ Â®Â´Ã Â®Â™Ã Â¯ÂÃ Â®Â•Ã Â®Â¿Ã Â®Â¯Ã Â®Â¤Ã Â¯Â */Ã Â®Â‡Ã Â®Â¨Ã Â¯ÂÃ Â®Â¨Ã Â®Â¾Ã Â®ÂŸÃ Â¯ÂÃ Â®ÂŸÃ Â®Â¿Ã Â®Â©Ã Â¯Â Ã Â®ÂªÃ Â®Â£Ã Â¯ÂÃ Â®ÂªÃ Â®Â¾Ã Â®ÂŸÃ Â¯ÂÃ Â®Â®Ã Â¯Â Ã Â®ÂšÃ Â¯ÂÃ Â®Â¯Ã Â®Â¤Ã Â¯ÂÃ Â®Â¤Ã Â¯Â‹Ã Â®Â±Ã Â¯ÂÃ Â®Â±Ã Â®Â®Ã Â¯ÂÃ Â®Â®Ã Â¯Â Ã Â®ÂÃ Â®Â¯Ã Â®Â¾Ã Â®Â¯Ã Â®Â¿Ã Â®Â°Ã Â®Â®Ã Â¯Â Ã Â®Â†Ã Â®Â£Ã Â¯ÂÃ Â®ÂŸÃ Â¯ÂÃ Â®Â•Ã Â®Â³Ã Â¯Â Ã Â®ÂªÃ Â®Â´Ã Â®Â®Ã Â¯ÂˆÃ Â®Â¯Ã Â®Â¾Ã Â®Â©Ã Â®Â¤Ã Â¯Â. Ã Â®Â‡Ã Â®Â¤Ã Â®Â¿Ã Â®Â²Ã Â¯Â Ã Â®Â®Ã Â¯ÂÃ Â®Â•Ã Â®Â²Ã Â®Â¾Ã Â®Â¯Ã Â®Â°Ã Â¯Â Ã Â®Â•Ã Â¯ÂŠÃ Â®ÂŸÃ Â¯ÂÃ Â®Â¤Ã Â¯ÂÃ Â®Â¤Ã Â®Â¤Ã Â¯Â, Ã Â®Â†Ã Â®Â™Ã Â¯ÂÃ Â®Â•Ã Â®Â¿Ã Â®Â²Ã Â¯Â‡Ã Â®Â¯Ã Â®Â°Ã Â¯Â Ã Â®Â•Ã Â¯ÂŠÃ Â®ÂŸÃ Â¯ÂÃ Â®Â¤Ã Â¯ÂÃ Â®Â¤Ã Â®Â¤Ã Â¯Â Ã Â®Â®Ã Â®ÂŸÃ Â¯ÂÃ Â®ÂŸÃ Â¯ÂÃ Â®Â®Ã Â¯Â‡ Ã Â®Â‰Ã Â®Â™Ã Â¯ÂÃ Â®Â•Ã Â®Â³Ã Â¯ÂÃ Â®Â•Ã Â¯ÂÃ Â®Â•Ã Â¯Â Ã Â®ÂªÃ Â®Â¿Ã Â®ÂŸÃ Â®Â¿Ã Â®Â•Ã Â¯ÂÃ Â®Â•Ã Â¯ÂÃ Â®Â®Ã Â¯Â Ã Â®ÂŽÃ Â®Â©Ã Â¯ÂÃ Â®Â±Ã Â®Â¾Ã Â®Â²Ã Â¯Â Ã Â®ÂµÃ Â¯ÂˆÃ Â®Â¤Ã Â¯ÂÃ Â®Â¤Ã Â¯ÂÃ Â®Â•Ã Â¯Â Ã Â®Â•Ã Â¯ÂŠÃ Â®Â³Ã Â¯ÂÃ Â®Â³Ã Â¯ÂÃ Â®Â™Ã Â¯ÂÃ Â®Â•Ã Â®Â³Ã Â¯Â. Ã Â®Â…Ã Â®Â¤Ã Â®Â±Ã Â¯ÂÃ Â®Â•Ã Â®Â¾Ã Â®Â• Ã Â®Â¨Ã Â®Â¾Ã Â®ÂŸÃ Â¯ÂÃ Â®ÂŸÃ Â®Â¿Ã Â®Â©Ã Â¯Â Ã Â®ÂŽÃ Â®Â²Ã Â¯ÂÃ Â®Â²Ã Â®Â¾ Ã Â®ÂªÃ Â®Â¿Ã Â®Â°Ã Â®Â¿Ã Â®ÂµÃ Â®Â¿Ã Â®Â©Ã Â®Â°Ã Â¯ÂÃ Â®Â®Ã Â¯Â Ã Â®Â…Ã Â®ÂªÃ Â¯ÂÃ Â®ÂªÃ Â®ÂŸÃ Â®Â¿Ã Â®Â¤Ã Â¯Â Ã Â®Â¤Ã Â®Â¾Ã Â®Â©Ã Â¯Â Ã Â®ÂšÃ Â®Â¿Ã Â®Â¨Ã Â¯ÂÃ Â®Â¤Ã Â®Â¿Ã Â®Â•Ã Â¯ÂÃ Â®Â• Ã Â®ÂµÃ Â¯Â‡Ã Â®Â£Ã Â¯ÂÃ Â®ÂŸÃ Â¯ÂÃ Â®Â®Ã Â¯Â Ã Â®ÂŽÃ Â®Â©Ã Â¯ÂÃ Â®Â±Ã Â¯Â Ã Â®ÂšÃ Â¯ÂŠÃ Â®Â²Ã Â¯ÂÃ Â®Â² Ã Â®Â®Ã Â¯ÂÃ Â®Â±Ã Â¯ÂÃ Â®ÂªÃ Â®ÂŸÃ Â®Â¾Ã Â®Â¤Ã Â¯Â€Ã Â®Â°Ã Â¯ÂÃ Â®Â•Ã Â®Â³Ã Â¯Â. I agree with you Alex. I am deeply suspicious of a business "community" that is dominated by a small group of people who will look after their own interests and exclude the rest.It is true that businesses create jobs and pay taxes but this really, really runs the risk of being a stitch up from day one.Deeply worrying. Posted on December 24, 2012 at 2:10 pmOne important thing is that if you find yourself searching for a student loan you may find that you’ll want a co-signer. There are many situations where this is true because you should find that you do not employ a past credit rating so the financial institution will require that you have someone cosign the loan for you. Interesting post.